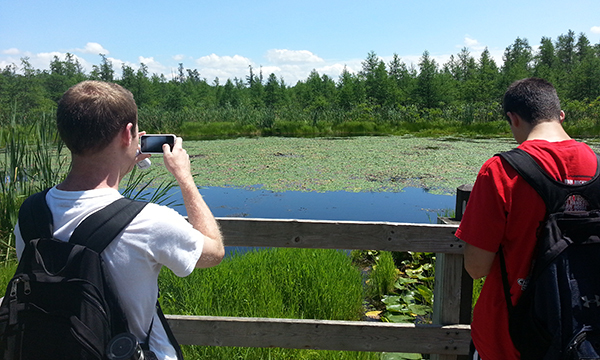 If you're looking for a truly unique outdoor adventure, head for Volo Bog State Natural Area in Lake County in northeastern Illinois. 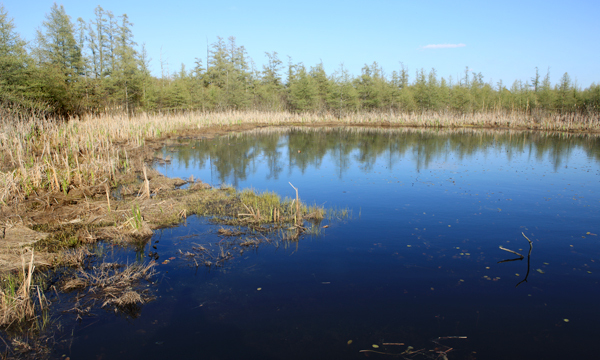 The site includes Volo Bog, the only quaking bog in Illinois, significant in that it exhibits all stages of bog succession. A floating mat of sphagnum moss, cattails and sedges surrounds an open pool of water in the center of the bog. Local citizens mounted a fundraising campaign to purchase the bog in 1958, and the land was later deeded to the University of Illinois. 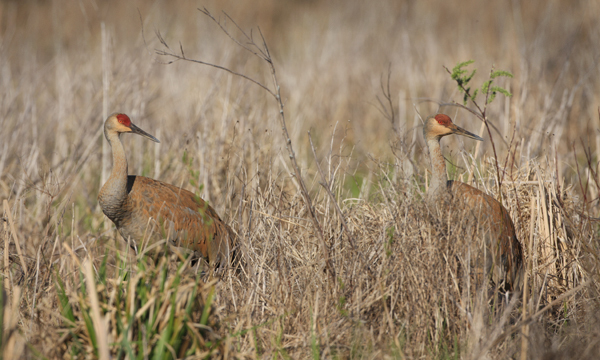 In the late 1960s, local citizens again advocated for Volo Bog to protect the site from proposed development, and encouraged its eventual transfer to management of the Illinois Department of Conservation, now the Illinois Department of Natural Resources. 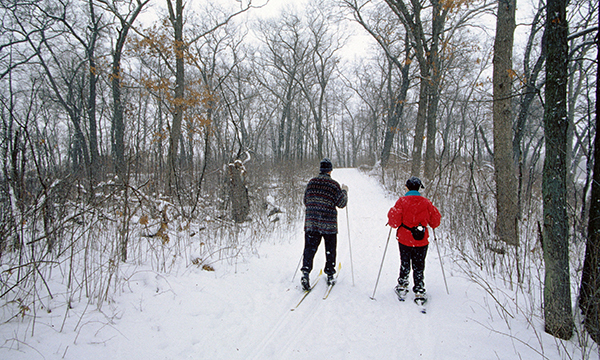 Volo Bog was dedicated as an Ill​inois Nature Preserve in 1970. Three years later, it was registered as a National Natural Landmark. More than 1,100 additional acres of land have been purchased to protect and enlarge the state preserve, which now includes marshes, prairie restoration areas, woodlands, two other bogs, and scenic trails. 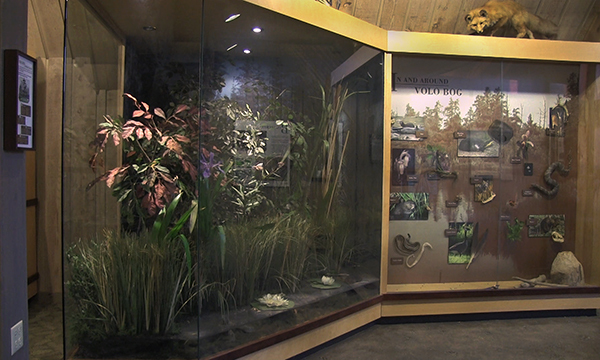 Originally opened in 1980, Volo Bog's Visitor Center is housed in a dairy barn built in the early 1900s. Renovations began in 1996 to bring the building up to code, make it fully accessible and accommodate the needs of the fast-increasing population of northeastern Illinois. The center includes a program room, the Tamarack Shop, offices and restrooms on the first floor. An elevator, housed in the silo, takes visitors to the second floor exhibits, hands-on discovery area and library.